With your Squirrel SMSF, you choose the risk strategy and the shares you trade. You have complete freedom with your investments so long as you comply with the ATO and SMSF law. 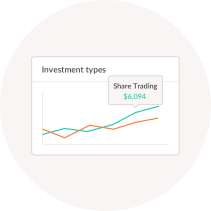 If you’ve got an investment strategy in mind, you can use a portion of your super to buy and sell shares. Bear in mind that with an SMSF, the responsibilities and risks of your investments are down to you. With an SMSF, you choose exactly how your super is invested. So whether you want to invest in index funds, Australian shares or international shares; the choice is yours. You do have to demonstrate an investment strategy as part of the set up of your fund, so make sure you’ve done your homework and can demonstrate why you are investing in the shares you’ve chosen. Remember that as with any investment, the value can go up as well as down so be wary of the risks in share trading through an SMSF. 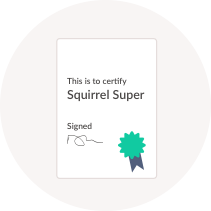 Squirrel do not accept commissions or kickbacks from any brokers. It’s part of our policy on being transparent and as helpful as we can, so you know you can get impartial information from us at all times. 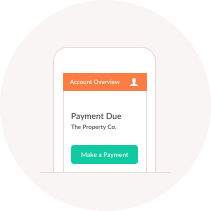 You can therefore choose to use any broker you like and aren’t limited to any particular platform. There are many benefits in diversifying your SMSF portfolio with shares. 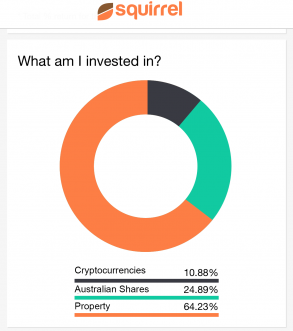 Investing wisely in shares can bring you a greater return on investment than a term deposit or savings account. Your SMSF can earn a potential income from dividends, adding to the balance of your retirement fund. There are lower tax rates on long term capital gains from investments, as well as the preferential tax rates your SMSF gets on income. SMSF investments that have been held for more than a year, only ⅔ of any gain is taxable. Investing your super in shares also carries many risks that you need to be aware of before diving in. You really need to do your research and be sure that your investment decisions will be better than a fund manager’s. Share prices can fluctuate massively and if they fall to zero, you lose all your money. It’s never a good idea to invest all your super in one company/industry. You need to put in a lot of time and effort to keep your eye on the market and economy, so that your portfolio of investment rewards you for retirement. With an SMSF, the responsibility of your investment’s performance are down to you – this can be risky if you’re not experienced.